SAS has carried out new research (building on similar research carried out previously) looking at consumer sentiment around General Data Protection Regulation in the UK & Ireland. 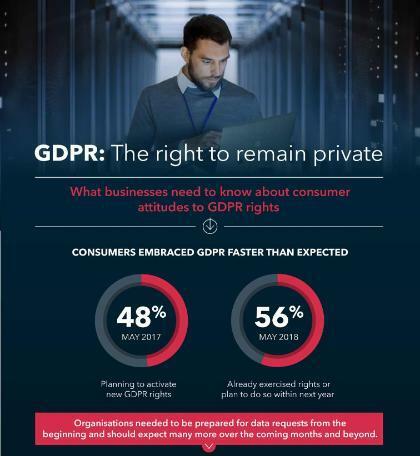 In particular, it looks at how consumers plan to activate their rights under the GDPR rules and the likelihood of them doing so. In this report you will gain an understanding of what matters to consumers and how organisations might therefore avoid giving customers a bad experience when it comes to use of their personal data. We will explore how consumers feel about various ‘data mistakes’ such as inaccurate data or being served irrelevant offers. And find out how the Cambridge Analytica/Facebook story has affected the likelihood of consumers to activate their GDPR rights.